Hard drive is pre-formatted and does not require additional power !! 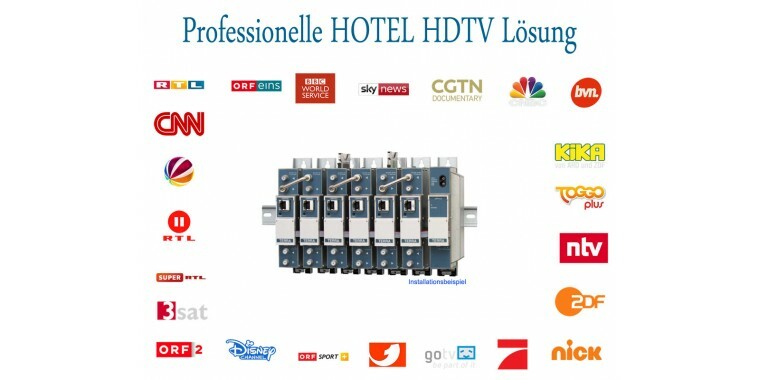 Full Warranty Demonstration Machine, New Original Packed Remote Control The HD-PVR entry-level mach..
Full Warranty Demonstration Machine, New Original Packaged Remote Control The HD-PVR Beginner wit..
Austria Edition with start assistant for Austrian station list! HDTV Twin Tuner operation does not..
Restposten mit voller Garantie jetzt mit neuer 4in1 Universal Fernbedienung!ALMA - Volle Ausstattung..
Amiko - our price / performance tip! Best features in this price range: FullHD, LED display, 2xUS..
Clake-Tech 4100HD no longer available - see successor model Clarke-Tech HD265 SmartPC !! & nbsp; ..
ALMA - Full FULL HDTV performance at an affordable price. In addition to the Full HD SAT tuner an..
Exhibits with full warranty - special price, only while stocks last! We present Austria's most aff..
Amiko HD 8260 Plus - Full reception (DVB-S2 / T2 / C) at an affordable price - Model with HDMI and ..
Arcon Titan FullHD Twin Tuner PVR receiver with CI + interface! Ideal for ORF Digital and also for ..
Superflacher DVB-S2 FullHD Single Tuner Linux Enigma2 Receiver zum Spitzenpreis. Ausgestattet mit ..
Dreambox is back - Slim Price, Fancy Design, Super Fast 2000DMIPS Processor, Full Featured! 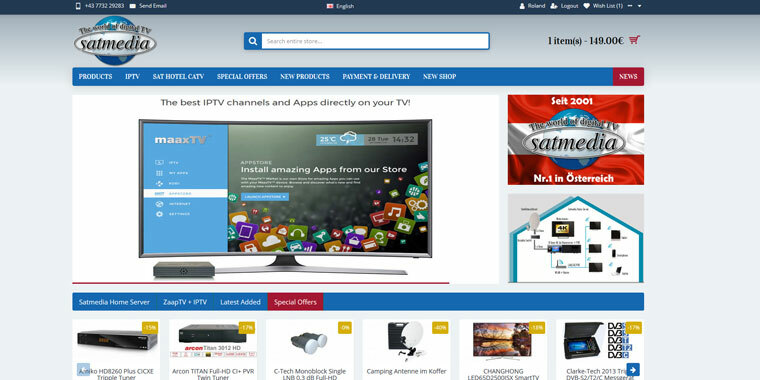 With..
Dreambox DM900 UHD 4K with Twin 2x DVB-S2X tuner LinuxThe new Dreambox DM900 UHD 4K is Dream's .. Exclusive at Satmedia Austria - device preconfigured with Austria Settings and App Package (Google ..
Amiko HD 8265 Plus - Full reception (DVB-S2 / T2 / C) at an affordable price - New model with HDMI ..
Combo DVB-S2 + DVB-T2/C FullHD Combo Tuner Linux Enigma2 Receiver zum Spitzenpreis. Ausgestattet m..
Combo DVB-S2 + DVB-T2/C FullHD Combo Tuner Linux Enigma2 Receiver inkl. 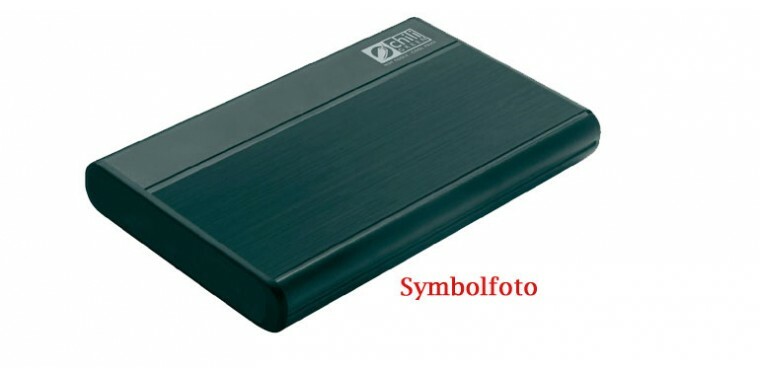 Kartenleser, CI-Slot und H..
Das Set #A ist unser günstiges Einsteigerset und stellt bis zu 2 Tuner im Netzwerk gleichzeitig zur ..
Combo DVB-C+T2 FullHD Kabelreceiver und DVB-T2 Linux Enigma2 Receiver inkl. Kartenleser zum Spitzenp..
Der EVO EZTV ist ein kompakter Satellitenempfänger, für Full HD (1080p) DVB-S2 Signale. Der Receiver..
Der Receiver "Optibox Spider HD Twin Tuner" - ist ein Receiver zum Empfang von Satelliten aus 2 ve..
Special external HDD in 2.5 inch with 2000GB best suited for our USB-PVR Receiver (Linux, Clarke-..
Inverto Multiconnect Dielectric LNB series - the narrowest universal Quattroswitch / Quad LNB with ..
New Universal LNB generation with 0.1dB noise figure! Suitable for 8 participants for Digital / Fu..
New Universal LNB generation with 0.1dB noise figure and built-in 60dB amplifier! Suitable for 4 p..